← Rabbets, rabbets, rabbets .. So I debated how to make the track that the bottom of the sliding deadman slides on. I decided to use my wooden foreplane with the strongly cambered blade to take down the thickness on one side and then try my hand at rip sawing the other side. So fun with planes first! 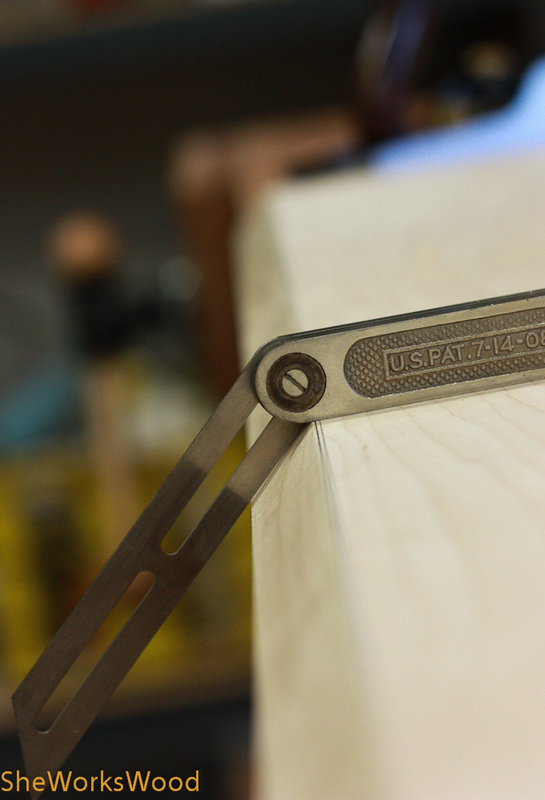 I kept track of my progress with the bevel gauge. 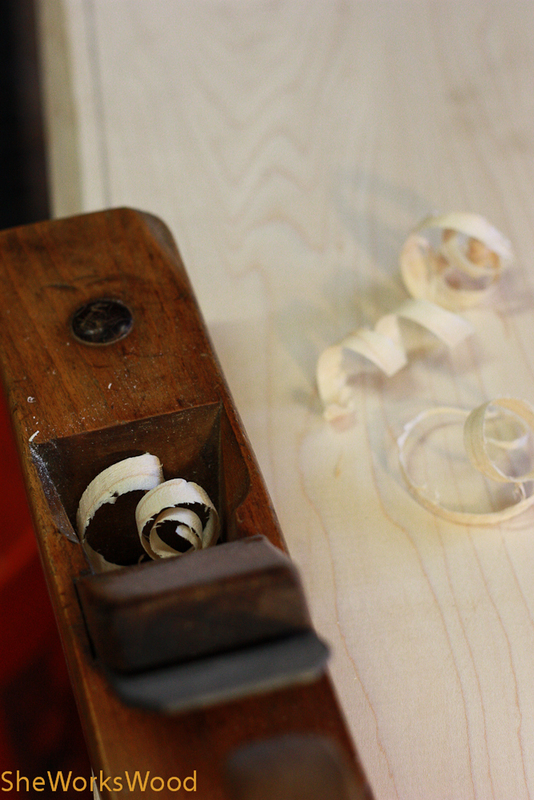 Then I cleaned up any ruff patches with my small scraper after getting it to the final surface with my Jack plane. 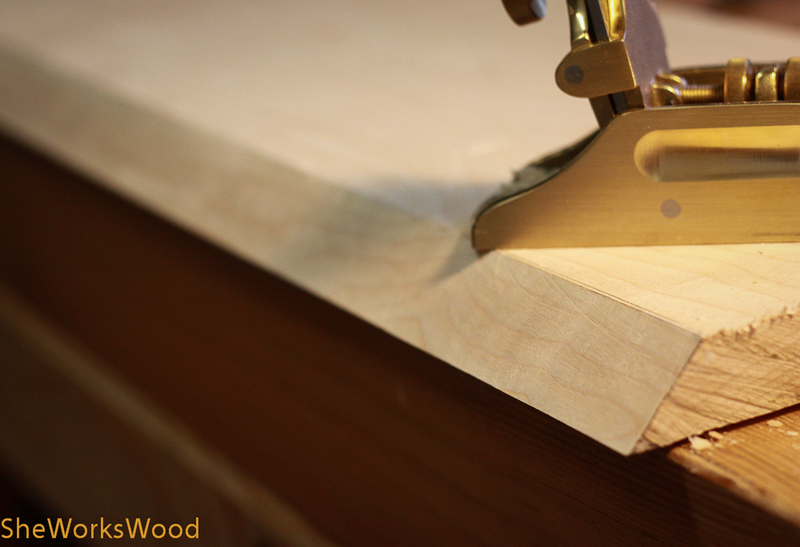 Then I took off the knife edge with my jack plane and jointer fence. Way more fun that scary angled table saw blades. 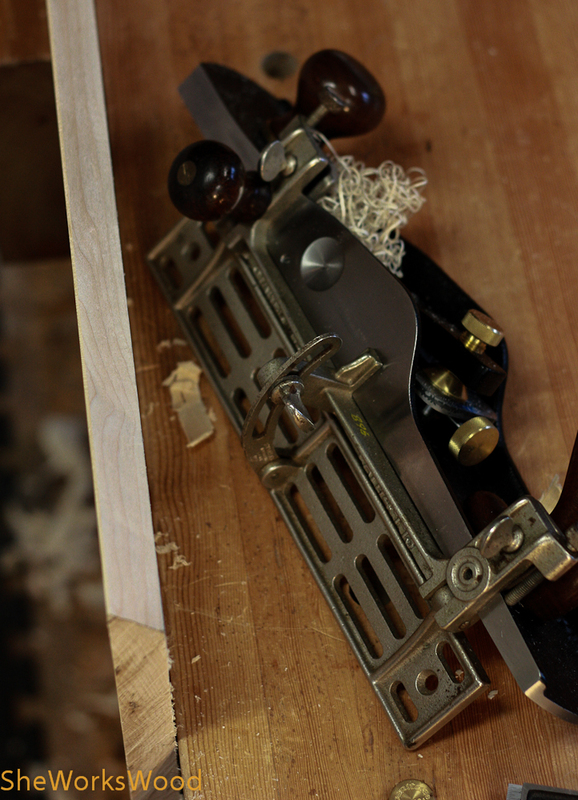 This entry was posted in dead man, scraper, wooden plane, workbench and tagged deadman, workbench. Bookmark the permalink. You are a couple handfuls of hours ahead of me on my own bench build. Sometimes feels like cheating but I love watching someone else do the reckonin’ and figurin’ while I plan the next steps. Thanks! Heh! I do it all the time! Matter of fact, you inspired me to do the school box that I hadn’t had in interest in doing. I’ll be using you site for that one.